The Chemistry and Toxicology testing section at the WVDL Madison laboratory will refer all mineral and trace nutrient testing to Michigan State University’s Veterinary Diagnostic Laboratory. This action is in response to an equipment failure and subsequent decision to not replace this equipment. Approximately 500 tests per year at WVDL will be affected by this change. Starting April 1st, 2019, all mineral and trace nutrient testing will be referred to MSU. Michigan State’s published turnaround time is 5 business days for this testing. Clients will be charged the published testing fees located on the MSU website in addition to the $20 referral fee routinely charged for out-sourced testing services. Equine Colitis Panels are now available at WVDL! The WVDL has completed the validation of an equine standard colitis rtPCR panel (> 6 months of age) and an equine neonatal colitis rtPCR panel (< 6 months of age). These panels include the following pathogens. 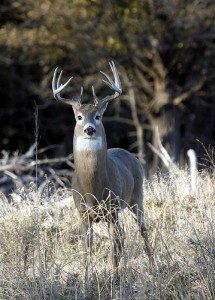 The start of the Wisconsin deer hunting season back on Sept. 15 also signaled the start to the busy Chronic Wasting Disease (CWD) testing season at the Wisconsin Veterinary Diagnostic Laboratory (WVDL). The WVDL is at the forefront of CWD testing, establishing itself as the premier lab for this testing in the country. Nationally, 11 states (Alabama, Arkansas, Connecticut, Kansas, Kentucky, Michigan, Montana, North Carolina, Virginia, West Virginia and Wisconsin) have submitted wild animal samples to WVDL this year for CWD testing. With just one month remaining in the calendar year, WVDL expects to test upwards of 35,000 wild animals in 2018, with the majority of these samples coming in the last few weeks. Additionally, 15 states (Alaska, Alabama, Arkansas, Iowa, Illinois, Kansas, Kentucky, Maine, Michigan, Missouri, Montana, North Carolina, Oklahoma, Virginia and Wisconsin) submit samples from captive animals to WVDL. Testing numbers for captive animals are expected to reach 3,500. Recently Dan Barr, Pathology Sciences Supervisor at WVDL, talked with WKOW-TV news reporter David Johnson on the vital role the lab plays in CWD testing. Click HERE for that complete story. CWD is a disease known as a TSE (Transmissible Spongiform Encephalopathy) disease. The WVDL also tests for two other TSE diseases, BSE (7,000 cattle expected to be tested in 2018) and Scrapie (2,000 goats and sheep tested in 2018). Dr. Phil Bochsler has stepped down as WVDL Director, effective immediately. The Board of Directors of the Wisconsin Veterinary Diagnostic Laboratory would like to thank Dr. Bochsler for his years of service as the lab director. He will return to diagnostic pathology at WVDL. Dr. Keith Poulsen has been appointed Interim Director of WVDL until such time as a permanent Director is hired. The national search for a permanent Director will start soon. 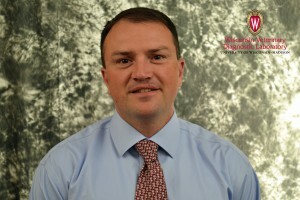 Dr. Poulsen has most recently held the position of Section Head of Client Services and will continue a joint appointment in Large Animal Internal Medicine at the University of Wisconsin School of Veterinary Medicine. Please contact WVDL with any questions. The Wisconsin Veterinary Diagnostic Laboratory (WVDL) will raise test fees by 4% beginning October 1. The Board of Directors approved the increase over the summer as the lab has not had a comprehensive increase in its testing services in four years. Our clients will see that most testing costs were increased 4% across the board, but there are exceptions. Some tests saw prices remain unchanged or saw increases or decreases in costs that were above or below the 4% figure. These changes in prices affect only testing services. Supplies, shipping costs and media costs are NOT part of this price adjustment and those costs will remain unchanged. Additionally, referral testing or outsourced testing, is not affected by WVDL price increases, since these costs are dependent upon the referral lab’s testing fees. We appreciate you and your business and if you have any questions, please don’t hesitate to contact us. Purpose: The State of Iowa requires serology and PCR testing for avian influenza prior to interstate movement from Wisconsin. WVDL is setting up special testing for Wisconsin poultry producers to facilitate this movement. Iowa is currently requiring permits for poultry and poultry products from Wisconsin to Iowa and if there are any questions, they should contact Iowa. Serology for antibody: WVDL has the NPIP-approved test for antibody (AGID). This test is performed at the Barron Laboratory ONLY, is a 24-hour test and is set up at 2pm Mon-Thurs. PCR for virus nucleic acid: WVDL has the NPIP-approved test for AI PCR. This test is performed at the Madison Laboratory ONLY and will be set up on Mon-Fri, once per day, as special runs during the required testing period. a. Samples must be dropped off in Madison by 10am for same day results for movement of animals the following day (8AM) to fit the requirement of 24 hours from sampling of animals to shipment. Depending on location in Wisconsin, overnight UPS shipping may be allowed for PCR testing. This will increase time to maximum of 36 hours from sampling of birds to shipment and PRODUCERS MUST contact the Iowa State Veterinarian’s office for prior approval. Dr. David Schmitt (515) 281-8601.
b. Each PCR test (up to 11 swabs per test) will have an expedited testing fee added. c. Please call ahead for testing so we can be prepared to accommodate your testing needs to the best of our ability. d. Any NPIP-approved laboratory can be used for PCR testing. The Minnesota Veterinary Diagnostic lab is the next available option. Minnesota runs PCR Mon-Fri and samples must arrive by 8am. b. Directly under the link to this form is a video that demonstrates swabbing birds. i. NOTE: Testing has been updated since the production of this video and NPIP now allows up to 11 swabs per tube. 3. Testing and shipping supply orders can be taken over the phone, by fax, or by emailing completed forms to supplyroom@wvdl.wisc.edu. See our website for phone and fax numbers. Welcome to Dr. Holly Taylor – WVDL-Barron would like to welcome Dr. Holly Taylor to our team. 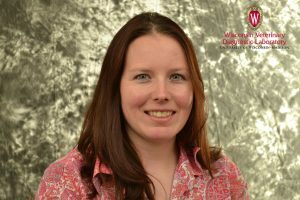 Dr. Taylor is from rural Pennsylvania, earning her BS in Animal Bioscience from Penn State (2009) and her DVM from the University of Tennessee (2013). She completed her specialty training in anatomic pathology at the University of Missouri Veterinary Diagnostic Laboratory in Columbia. Dr. Taylor’s specific areas of interest are bovine infectious diseases and poultry pathology. Dr. Taylor looks forward to heading the necropsy service in Barron and working with our clients to further support animal health in northwestern Wisconsin. Recently reported in the Chicago area, canine influenza virus (CIV) has affected at least 1,000 dogs in Illinois, Wisconsin, Ohio and Indiana. Owners are advised to seek veterinary care for dogs exhibiting clinical signs including cough, nasal discharge, and fever. A small percentage of dogs will develop more severe clinical signs. This influenza virus is not contagious to humans. The Wisconsin Veterinary Diagnostic Laboratory offers testing for Canine Influenza for veterinarians and their clients. The sample requested is a deep nasal swab with a non-cotton swab. ** Please use Dacron or synthetic swabs. Break the swab off into viral transport media. All supplies required can be acquired from the WVDL within 24 hours and shipping is as low as $7 overnight via UPS. Recently, highly pathogenic avian influenza (Bird Flu) was found in wild birds in Washington, Oregon, Utah, California and most recently in Minnesota. 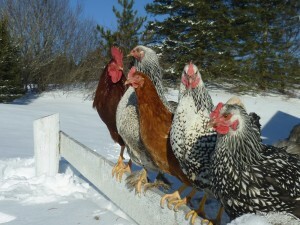 This virus can also infect poultry commonly found in backyard flocks. The strains were identified as H5N8 and H5N2 and typically do not cause disease in most wild birds but will cause severe disease in gallinaceous birds (domestic poultry and game birds). The strains are described as highly pathogenic because of rapid spread and high mortality in domesticated poultry. Clinical Signs of Avian Influenza: Owners of poultry and other game birds should be aware of the clinical signs of avian influenza, which are highly variable and include: lack of energy, decreased egg production, nasal discharge, coughing, swelling and discoloration of the head, combs and/or wattles, diarrhea, and neurologic signs such as stumbling. Minimizing Risk of Infection: The key factor in minimizing risk of infection to domesticated birds is to limit contact with wild birds and migratory wildfowl. Also important is to maintain a clean environment and to avoid sharing tools or supplies with other poultry owners. All purchased birds should originate from a reputable seller. How to test birds for viral infection: One way to control the disease is by testing birds for the presence of the virus prior to movement, sale or to comply with a surveillance requirement such as those specified in the National Poultry Improvement Program (NPIP). The Wisconsin Veterinary Diagnostic Laboratory is fully accredited and equipped with the expertise to test for avian influenza, as well as many other pathogens. The test that is performed is a real-time polymerase chain reaction (PCR). This assay can amplify small amounts of viral nucleic acid so it is more readily detected by an instrument. Moreover, the assay is very rapid and can be completed in the same day the sample is received. Please order supplies for this test by going to our website FORMS page and choosing the choosing the AI Swab Kit for PCR Order Form. The kit contains 6 tubes of broth and swabs with a polyester tip and plastic applicator. 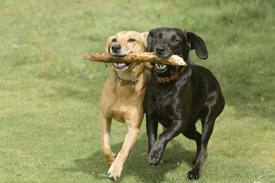 An experienced veterinary technician or veterinarian can provide training on how to take the sample. Click HERE for an instructional video demonstrating proper sampling technique. On the supply order form, please indicate the reason for testing (sick birds, surveillance as required by NPIP, or pending sale). If you have birds with clinical signs consistent with avian influenza, you will be contacted by a WVDL veterinarian to discuss testing. Swine Testing Requirements for Entry into Wisconsin Changing as of Feb 1.